Going to spend your day in the sun? Maybe you’ll be enjoying some baseball, soccer, lacrosse, or a company picnic. 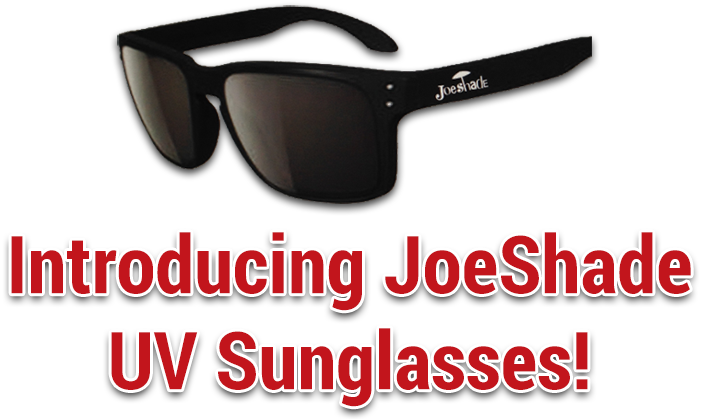 Whatever your plans, be sure to let your JoeShade portable sun shade umbrella keep you cool and protected. The American Cancer Society recommends avoiding sunburn during childhood and adolescence, which can be an important way to reduce the risk of skin cancer later in life. Additionally, American families need to listen to the warnings from The Journal of the National Cancer Institute: skin cancer is on the rise, but that doesn’t mean the summer party is over! As much as we love the sun, not protecting our skin from the harmful UV rays known to cause skin cancer is a big mistake. JoeShade portable umbrella sets up in seconds and blocks over 99% of all UV rays, keeping you protected and cool.